Make your kids birthday extra special and memorable. 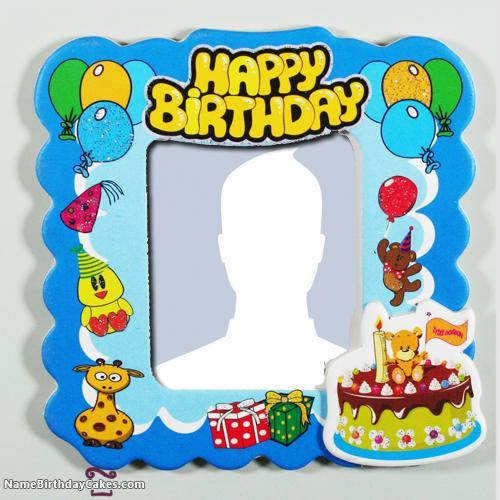 Get free happy birthday kids photo frame. Place your kid photo in it and make your status or share. Everybody looking for a special way to say happy birthday to their kids. Birthday is the most special occasion, especially for kids. If you really want to bring a smile on their face then put his or her photo in the below kids photo frame. Make it your Whatsapp or Facebook status by displaying a happy birthday frame of your child. You can also find many more birthday frames that will help you to wish birthday to your girlfriend, boyfriend, lover, friends, and relatives. The good news is, it is totally free. Don't forget to share on your social profiles.